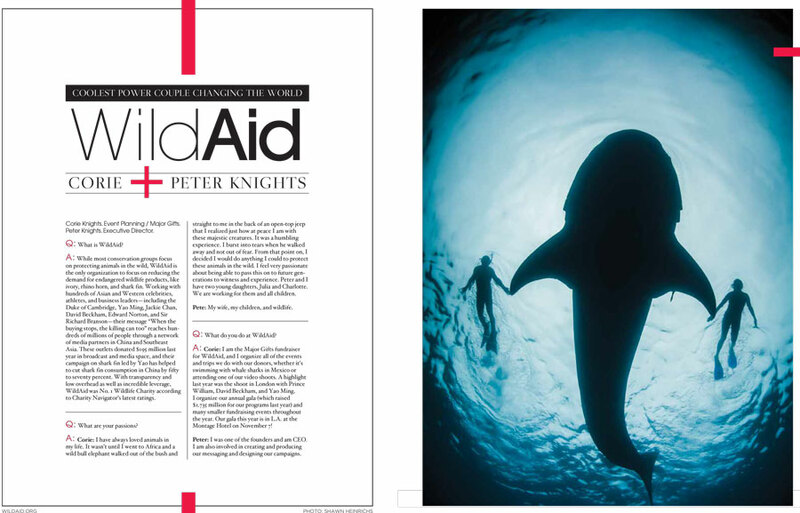 The latest issue of Origin Magazine features a great Q&A with WildAid's Peter and Corie Knights, interviewed among a who's who of conservationists and humanitarians. (Click on the image to enlarge.) Thanks, Origin!